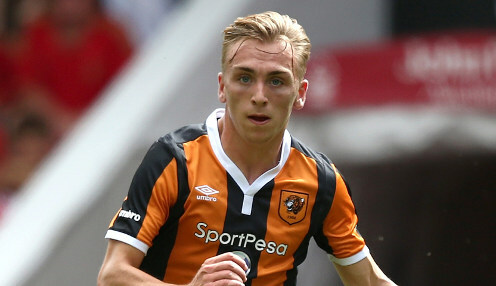 Hull City manager Nigel Adkins has praised rising star Jarrod Bowen for having the right attitude needed to back up his undoubted talent. Forward Bowen, who started his career as a youngster with Hereford United, has scored 18 goals for the Tigers this season, helping City recover from a poor start to lie within touching distance of a possible play-off place. Jarrod works hard - he has got talent and ability. And Adkins is delighted to see Bowen getting the rewards for the hard work and application which his boss sees in training every day. Adkins told the club's official website: "We have a good culture at the club where everyone works hard and Jarrod works hard - he has got talent and ability. "Hard work beats talent if talent does not work hard, but he works hard and keeps improving on his game. Jarrod has the right attitude and that is what we want. "He's backed up what he scored last season and is now close to 20 goals, which means he is a young man who's not just a one-season wonder. "He said it the other day that he didn't want to be seen that way, so he's backed it up this season with a run of goals." Next up for the Tigers is a Saturday afternoon trip to the City Ground to take on Nottingham Forest, who claimed a 2-0 victory at the KCOM Stadium earlier on in the season. Hull can be backed at 12/5 to win on Saturday, with the draw priced at 5/2, while the home side are 8/1 to edge a 2-1 victory.